Why hit the spa just once on vacation when you can enjoy a couple a day, every day? Treat yourself to facials, massages, scrubs, and everything off the menu at the resort’s “all-spa inclusive” concept. A nice little extra is the “breakfast anywhere, anytime” option because it’s a vacation and you deserve to sleep in. Start with a colonic (because you know you could use one after all those carb-heavy Christmas meals), take a few health screenings for your optimal health, and give the gym all you’ve got. Training includes isokinetic exercises dynamic hip functional exercise, and FTM (Functional Training Movement). Recently refurbished, the resort now sports a more chic, earthy design. Surrounded by dense tropical rainforest and the Indian Ocean, REVĪVŌ has it all with wellness, but it’s their dining menu we love most. The food and beverage programme is called NŪTRIŌ which promotes fresh, wholesome, organic and balanced dishes. The belief is to serve food as close to its natural state as possible. But don’t worry, there’s a bar. 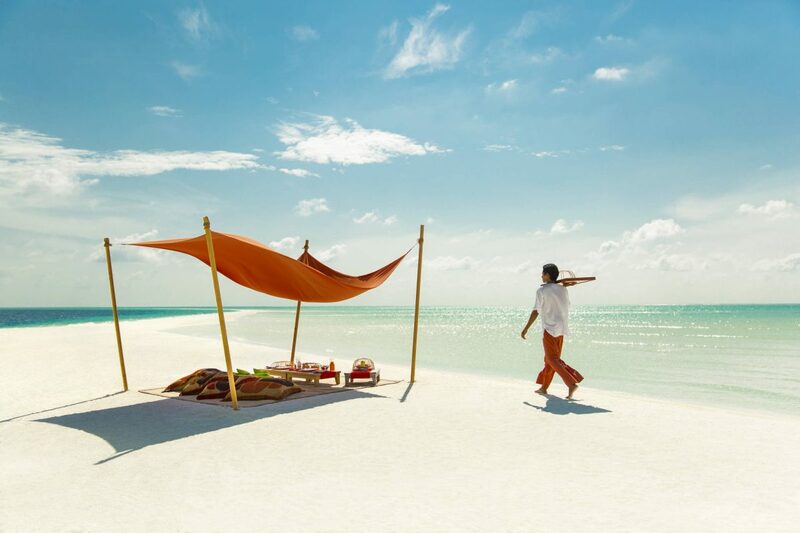 100% bucket-list worthy, COMO Cocoa Island is oozing luxury with views of the sky melting into turquoise waters. Take deep, long breathes at the COMO Shambhala Retreat where the holistic practice of yoga is highly emphasised. There are daily classes, and a full-time yoga instructor for focused sessions.